Why I No Longer Berate Myself When I Behave Recklessly – Woman, Live! A Tribe of Well-Connected, Ambitious Christian Women LIVING Out Their God-Given Desires. You won’t believe what Travis and I did the other night. Our main two goals are paying off debt and getting physically fit. So….the other night we ordered pizza and Pepsi and rented a movie at 11:30PM on a weeknight. I was ashamed for like 8 minutes. And, of course, the following morning was a complete circus. But despite the chaos our actions caused, I was nothing but smiles. Our jump off the cliff landed us right on top of one of our other goals: Date each other again. And, the fact that we were willing to ruin any possibility of a good night’s rest and a productive morning to act like two people with no jobs and no kids didn’t reveal anything new. What showed up was the urgency. So, we planned to have movie night 3 nights/month and a “leave the house” date once/month. I’m sharing this with you because I know there are some behaviors that you engage in that are opposite your goals. You engage in them in private and hide the evidence. If anyone knew, you’d look like the biggest hypocrite that ever lived. All that guilt and shame is drowning the message God wants to get to you. What’s your behavior telling you? Is it proving to you that you can’t hang out with that crowd anymore? Is it asking you to create a better way to deal with your emotions? Is it telling you that you need accountability? Is it telling you that you need a new mindset? Is it telling you that need to ask for help? Don’t ignore the message. There’s a need in the madness. So, learn how to use what you’ve learned for your benefit. If you’re having trouble figuring out how to use your “destructive” behavior to bless and not harm you, I’d love to have a Power Hour Call with you. ​​Click here for more details. Now, what movie should Travis and I rent next? Put your all-time favorite movie in the comments! Travis Hawthorne Jr. I just sprinkle them with a lil' melanin & bake 'em. Celebrating the marriage of Timothy Young & Sytyrah Gaskins. Congrats guys!! "Productivity is about getting more done by working on fewer things." (The Bullet Journal Method, p.107) This weekend felt so much longer as I took time to do things that matter most to me. Candis C. wanted coaching around time management specifically dinner time, me-time & being more productive on the weekends. 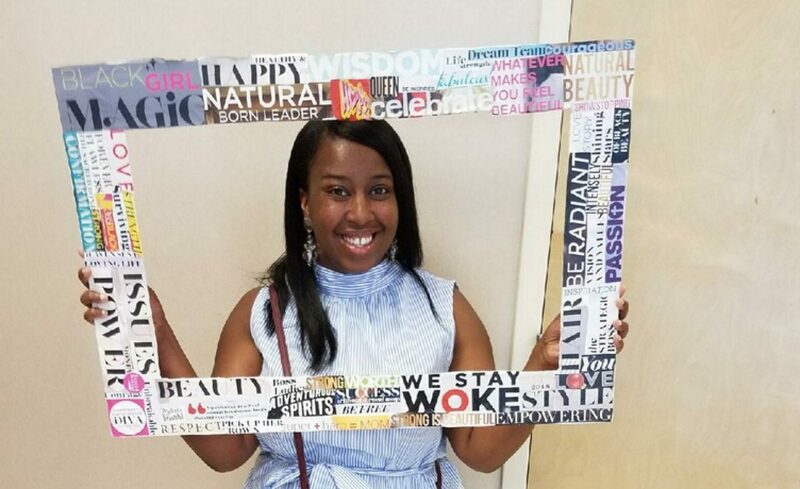 After our coaching session, she said the benefits included "refocusing on my life and needs in order to be a better parent to my children and to become a more well-rounded spouse." My free 30 minute laser sessions end on Feb. 28th. Spaces are limited. Visit facebook.com/mrsbrandihawthorne to book now. Trust. Hope. But, most importantly, love.